Congratulations to the Pace High Band for earning straight superior ratings at their District 1 Marching Music Performance Assessment on October 13th, 2018. Congratulations to the Pace Band for being crowned Grand Champions at the Emerald Coast Marching Classic on October 20th, 2018. The band also won Best Overall Music, Visual, General Effect, Percussion, and tied for Drum Major. Congratulations to the band students who were selected for the Pace High School Homecoming Court! Congratulations to the following students who were selected to perform with a Florida All-State Ensemble in January, 2019. Congratulations to the 48 students who were selected for the Santa Rosa All-County Honor Band. Congratulations to the band who made the 2018 Florida Marching Band Championship class 5A finals for the 4th year in a row. 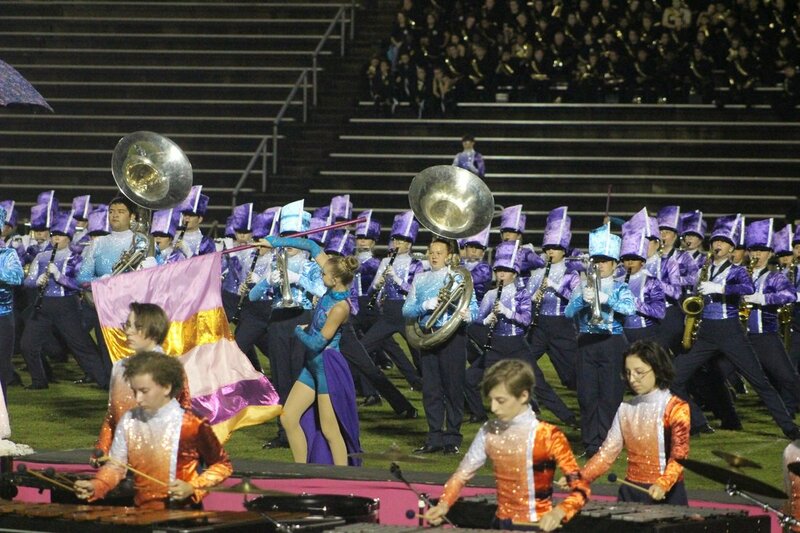 The band placed 4th overall and also received the Best Percussion Award. On January 12th, each of our Florida All-State students gave an outstanding ensemble performance in Tampa. Congratulations again to each of these three fine young musicians! ALSO, congratulations to the Katie Hilliard, Julian Paciaroni and Morgan Whitehead who were selected to perform with an All-State choir this year! ​On January 19th, about 35 brass students were treated to a masterclass and performance by trumpet virtuoso, Allen Vizzutti at the University of West Florida. On February 16th, the band earned a total of 150 superior medals at their annual District Solo and Ensemble contest at Escambia High School. 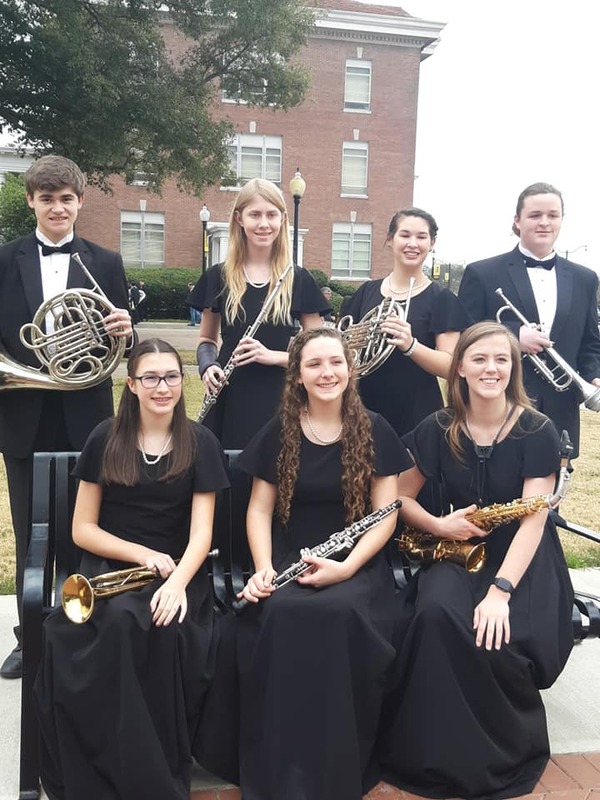 On February 8-10th, nine students participated in the All-South Honor Band weekend at The University of Southern Mississippi. During the same weekend, three students participated in the Auburn University Honor Band weekend. 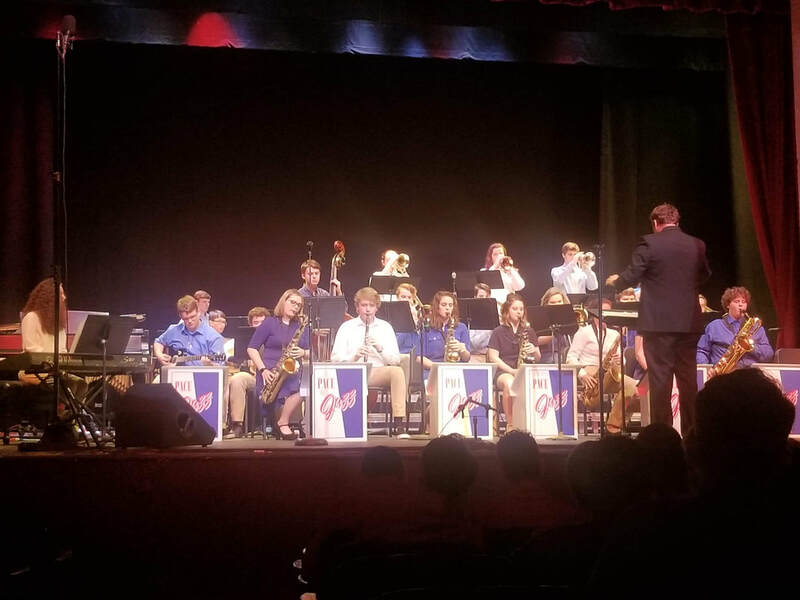 Congratulations to the Jazz Ensemble for earning straight Superior ratings at their annual Jazz Music Performance Assessment at Pensacola State College on Friday, February 22nd. Congratulations to the Concert Band, Symphonic Band, and Wind Ensemble for each giving an exceptional performance at their annual Concert Music Performance Assessment on March 7th & 8th. Concert Band received an overall Excellent rating, Symphonic Band received an overall Superior rating, and Wind Ensemble received straight Superior ratings from each judge. Congratulations to the Pace Indoor Varsity Guard who placed 3rd at the WGI Nashville Regional on March 9th. Congratulations to the Pace Indoor Percussion ensemble who were promoted to "Open Class" at the WGI South Power Regional in Hattiesburg, MS on March 16-17th. After the promotion, the group placed second in their class with a score of 83.00. Congratulations to the Pace Indoor Varsity Guard who placed 9th at the WGI Southeast Power Regional in Orlando, FL on March 24th.